Cristoforo Colombo, of the Italian Line, was built by the Ansaldo shipyard of Genoa, and was launched in 1953. She made her maiden voyage, from Genoa to New York, on 15 July 1954. She remained on the New York service until 1973, when she replaced Giulio Cesare on the Trieste-Genoa-South America service. 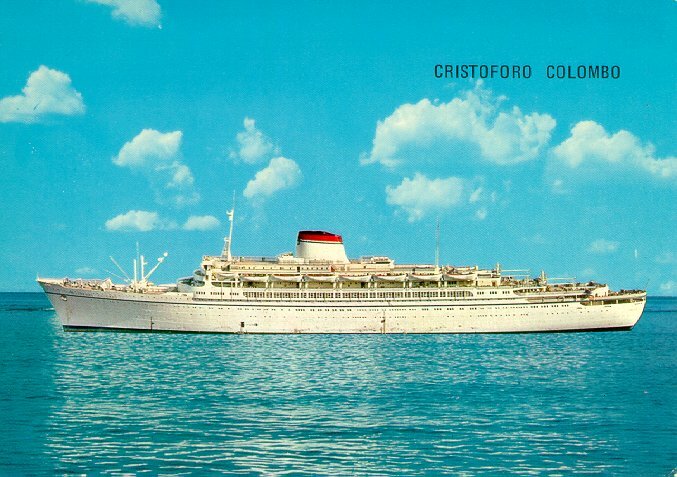 Cristoforo Colombo was utilized as a hotel/ship in Venezuela from 1977 until she was sold for scrapping in 1981. After being laid up in Hong Kong for two years, she was in fact scrapped, in Taiwan, in 1983. Cristoforo Colombo was the sister of Andrea Doria, which sank in 1956 after a collision with Stockholm.